For much of its history, however, the Christian church lived with the sense of being at home in the world, with considerable influence and power. That age of Christendom is now over, and as Lee Beach demonstrates, this is something for which the church should be grateful. The "peace" of Christendom was a false one, and there is no comfortable normalcy to which we can or should return. Drawing on a close engagement with Old Testament and New Testament texts, The Church in Exile offers a biblical and practical theology for the church in a post-Christian age. Beach helps the people of God today to develop a hopeful and prophetic imagination, a theology responsive to its context, and an exilic identity marked by faithfulness to God?s mission in the world. "Bravo! 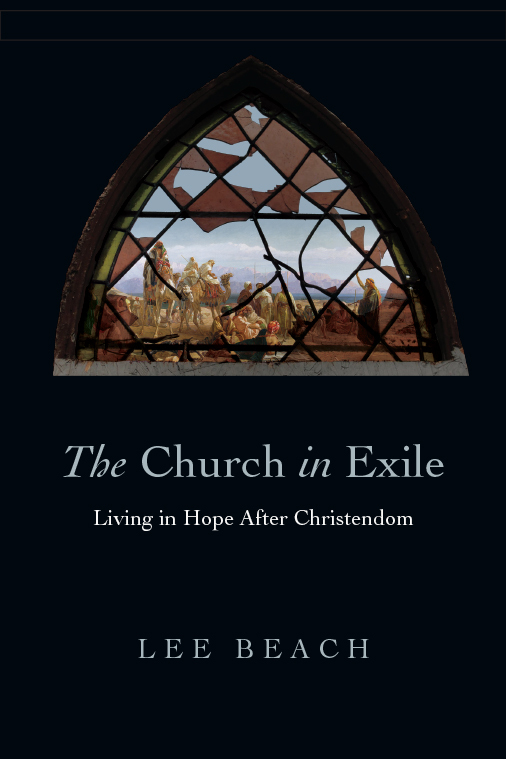 An excellent and highly readable introduction to the metaphor of exile to describe the church's place in contemporary Western culture. Lee Beach challenges us to come to terms with the church's identity as exiles in post-Christendom, to embrace the challenge for creative theological reflection funded by a prophetic missional imagination, to drastically break with traditional models of church life and to bravely launch ourselves as the people of God into this new world." "In this outstanding book, Lee Beach invites us to discover Scripture's rich theology of exile, forged in the experience of Israel and the early church. But he also challenges an increasingly marginalized church in the West to come to terms with its own situation of exile. Lee Beach argues persuasively that the biblical motif of exile can help Christian communities to reimagine their identity and mission. For Beach, exile is a place of reorientation and hope, which demands an adventuresome faith. Academically sound, but with a strong practical orientation, this timely book has the potential to revitalize how we live out God's mission in a new cultural landscape. Christian leaders and local congregations alike need to hear and heed its challenge." "With great care and serious scholarship, Lee Beach writes about the demise of Christendom and what Christians should do about it. Read this book and weep . . . or see the church with new hope like you've never seen it before. For me, I ended up with the latter and am extremely grateful for having read it." "This is a realistic yet profoundly hope-filled account of contemporary, post-Christian, fragmented society and the nature and role of the church in its exilic state. Grounded in thorough biblical exposition, Beach normalizes this state, and in fact suggests that the church is most healthy and most true to its missional identity when it 'digs the ground' it is on! Lee Beach has made a significant contribution to the 'church in exile' literature by fleshing out what it means for said church to live into its true identity. All church leaders should have this book in their arsenal!" "Beach's assessment is surely correct. His book invites church leaders to recognize where God has now put the church. The work of new leadership—in terms of hope, imagination and missional vision—is to be about the business of 'defining reality' in ways that violate, subvert and transgress all old definitions of reality. Specifically this means to contradict the dominant definitions of reality that oppose gospel truth. Such leaders will anticipate that such new definitions of reality will be vigorously contested, outside the congregation and within it. Anything less than that work will end in irrelevance and despair. This book is a rich exercise in hope!" "Instead of pining for a lost Christendom, Lee Beach offers the North American church a deeply biblical model for ecclesial identity and mission that is addressed to our contemporary situation of 'exile.' His nuanced exegesis of Old Testament diaspora tales, his exploration of the mission of Jesus in the context of Second Temple Judaism and his profound analysis of 1 Peter speak powerfully to the church in a post-Christian context. We have much to learn from Beach's insights about holy, missional and hopeful Christian living from the margins." "Moving from the center to the margins is an increasing reality for the church in the West. Beach develops a thoughtful theology and praxis of what it means to live as the people of God in exile. If you desire to be a community that is 'intrinsically missional,' then apply the wisdom Beach gives us in developing a prophetic imagination, a responsive theology and an exilic identity as we engage our context in light of God's future." "With profound biblical scope and theological depth, Lee Beach provides wise counsel for a church in exile. Rooted in a serious re-engagement of the biblical motif of exile, Beach engenders an exilic imagination that suggests creative ways for the church to find its identity anew. Here we find a biblical scholarship in service of the church and a church in service of the creation-wide renewal of the world. Exile is both a deep threat and an opportunity for the most creative theological reflection and communal praxis. Beach helps us to navigate these treacherous waters with a compelling pastoral sensibility." "While Beach writes from the context of the Western Church, he highlights the heritage of the Historic Church's exilic experiences such that they apply to any Christian community feeling culturally marginalized. Therefore, both the theology and practices of exile this book outlines will serve any Christian community seeking to live well in exile." "The heart of the book, an eloquently written tour through motifs of exile in the Old and New Testaments, is well worth reading. . . . his reading of the Bible itself is persuasive and valuable." "Beach makes a strong, clear argument for how the church's experience of losing power and finding itself on the margins, informed by a theology of exile, may help the church to rediscover its true identity and eschatological hope." 5. Jonah as Advice for Exiles? 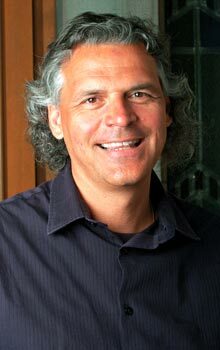 Lee Beach (PhD, McMaster Divinity College) is assistant professor of Christian ministry, director of ministry formation, and Garbutt F. Smith Chair of Ministry Formation at McMaster Divinity College in Hamilton, Ontario, where he teaches courses on pastoral ministry, mission, the church in culture, and spirituality. Lee has pastored for over twenty years with the Christian and Missionary Alliance in Canada and has written articles for publications such as Evangelical Missions Quarterly, Religions Journal, and Cultural Encounters: A Journal for the Theology of Culture.